In the entire 500-year history of the printed book, it is difficult to imagine a time of more innovation and change than now. Just a few short years ago, readers had the simple choice of hardback or paperback when they purchased a book. Now, books come in a score of different formats and can be read on Nooks and Kindles, iPads and smart phones. The revolution is not just a shift in publishing or bookselling. It is a fundamental shift in how we consume information. It is a revolution in reading. Don’t get me wrong. The book is not going away any time soon. In fact, it is quite the opposite. Books are proliferating—with multiple formats and multiple ways to access them—and the way we read them is changing. We have more choices than ever before. The problem for readers is a surprising one of having too much information, a hyperabundance of riches. Therein lies the rub: how do we find the needle in the Internet’s virtual haystack? Getty Publications has partly solved this through a partnership with Google Books. 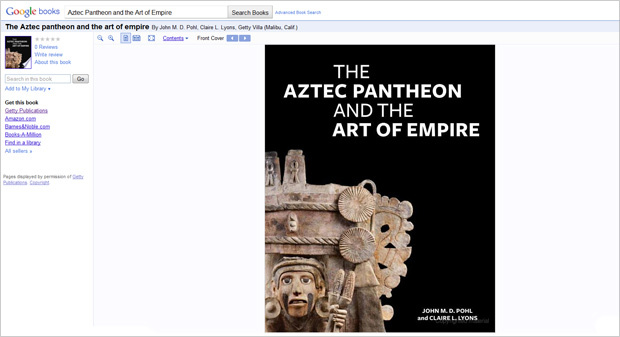 In this program, books and the journal published by the Getty now can be located with a simple Google search. Google won’t just index the titles and authors of our books as an old library card catalog might, but it will index the book’s full text and illustrations as well. Looking for information on the Japanese concept of bijutsu? 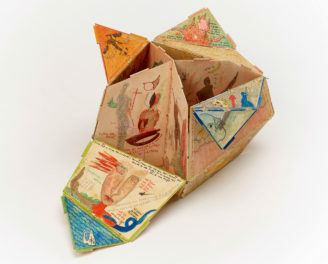 Google will show you the pages in Modern Japanese Art and the Meiji State where you will find it. Curious about the conservation implications of creating art with ordinary house paints? Google will point you to the GCI’s House Paints, 1900–1960: History and Use. Google Books takes this search a step further. Readers can view those specific pages online and purchase a hard copy of the book directly from the Getty website or other online booksellers. If they would rather find that book in a library, Google will point to the nearest collection. Google estimates that about 130 million unique books will soon be available in this program. We will make about 500 books available over the next few months. 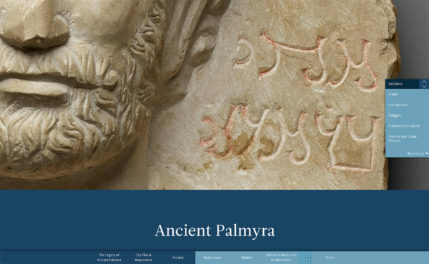 Getty Publications’ partnership with Google Books is central to our overall strategy of making the Getty’s work easily discoverable by readers and scholars worldwide. With Google Books, you will be able to search our books more deeply, browse through them more fully, and explore the visual arts more directly. The revolution may not be televised, but it will certainly be published. I'm the publisher at Getty Publications, the book and journal publisher for the entire Getty campus. We publish about 50 new titles a year on visual culture, art, and conservation. I'm particularly interested in shepherding illustrated books into the new world of digital publishing, e-books, and beyond. The challenges are enormous, which makes my job particularly exciting. This looks good, but I came to the site looking for your books on Kindle. I would love to read the new Books: A Living History title but it is not available in eBook format. Do you envisage this becoming available in digital (mobi) format? Many thanks! Hi Sarah — We’re exploring the digital future for illustrated books. 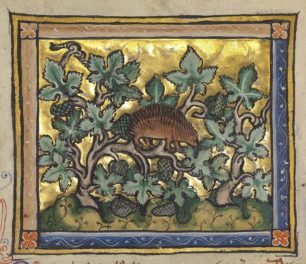 While Getty publications are not yet available for Kindle or other e-reader devices, we do have a number of digital projects on our website. Thanks so much for your question.